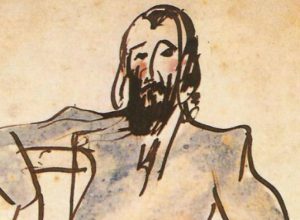 Blanquita Suárez was a comic artist who was born in the Teatre Principal of San Sebastián at the beginning of the 20th century and died around 1970. 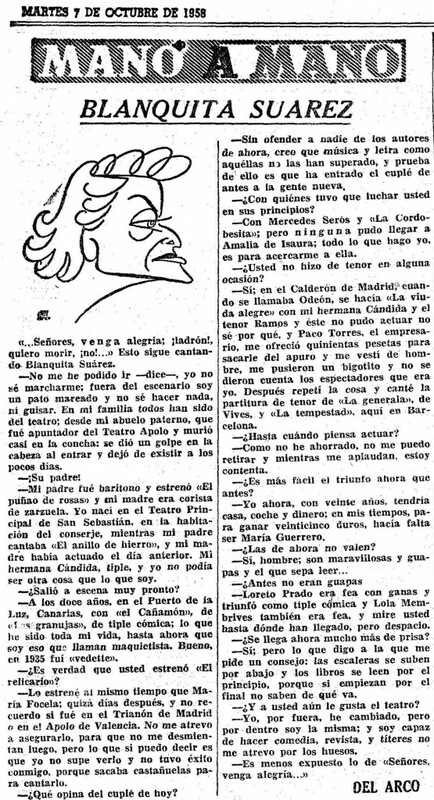 She came from a family traditionally that had been in the show business for several generations: her grandfather was a prompter at the Teatre Apolo, her father was a baritone, her mother sang in a zarzuela choir and her sister, Cándida Suárez, was a well-known soprano who triumphed during the 30s and 40s. 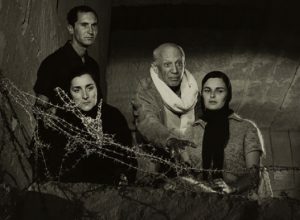 Blanquita started on the stage at 12 years old in the Puerto de la Luz de Canarias and throughout her career acted in operettas, reviews, and the so-called género chico, as a vedette (or chorus-girl) and cabaret singer. 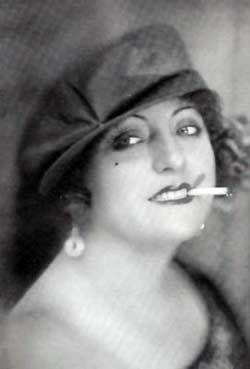 Like many actresses of the period, Blanquita recorded various records and participated as a secondary actress in several films. 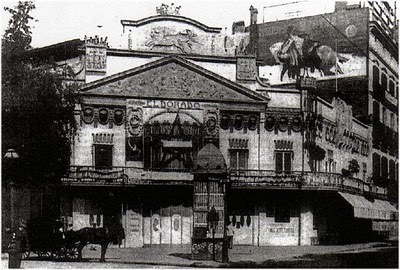 In 1917 she presented herself as a variety star in the Eldorado theatre of Barcelona, but it wasn’t until she acted in Paral·lel that she would become a recognised actress in the city of Barcelona. 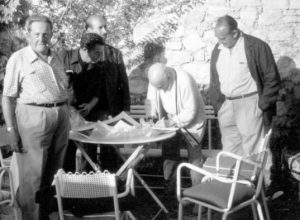 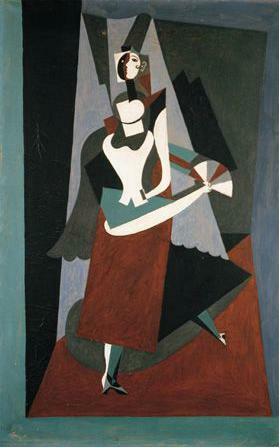 Picasso frequented the Barcelona entertainment venues of the period and he possibly coincided with Blanquita Suárez and saw her as a possible model for his works. 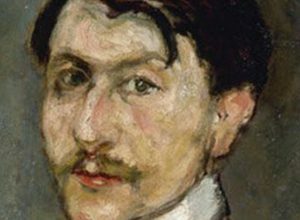 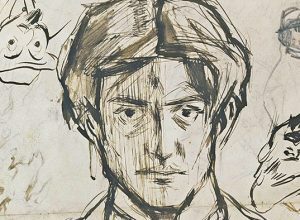 Of this connection some sketches of the comic singer are conserved in the Museé National Picasso Paris and the oil painting of the Museu Picasso Blanquita Suárez, painted in Barcelona in 1917. 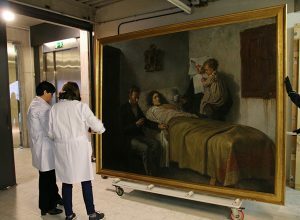 Currently this painting is on loan to the exhibition “Paral·lel Avenue, 1894-1939 Barcelona and the Spectacle of Modernity”of the CCCB that examines the Barcelona cultural offer which took place over 40 years in this major thoroughfare of the city.